So I’m a few weeks into my photography course now, and getting more and more appalled at some of the photos used in the early days of this blog. Some with horrible watermarks – too big and ugly. I don’t believe in watermarks any more at all. Looking towards the shady eastern side of Shelly Beach. So here is a very spruced up guide to one of our family favourites, Shelly Beach in Manly. With new photos… which are not at all perfect, but much better! 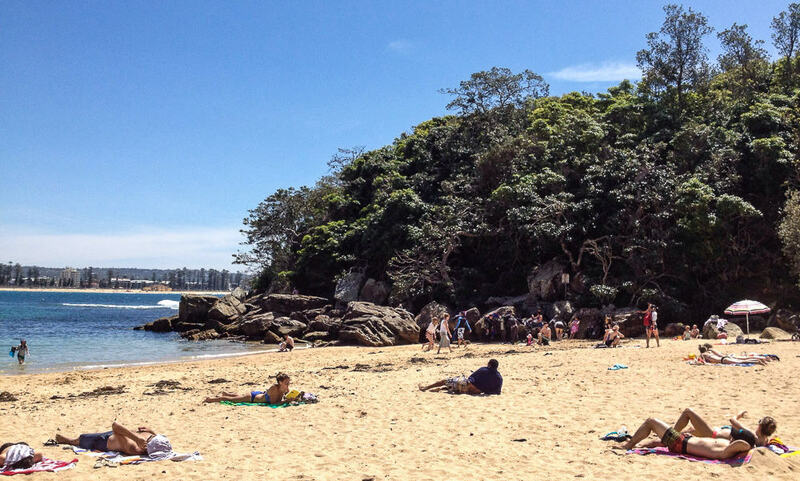 The most southerly of the northern ocean beaches, Shelly Beach at Manly is a scrumptious little spot, easy to get to, with lots of things to do and some opportunities for adventure for the kids. And some treats for the adults. I love Shelly Beach when I swim in on early morning swims with Sydney’s biggest ocean swimming group the Bold And The Beautiful. If not swimming in, we usually drive and park in the pay carpark above the beach. You can certainly walk in from Manly, but we find it easiest to park as close as we can. Great place to gaze out to sea. This is Le Kiosk and the beach cafe and kiosk alongside. 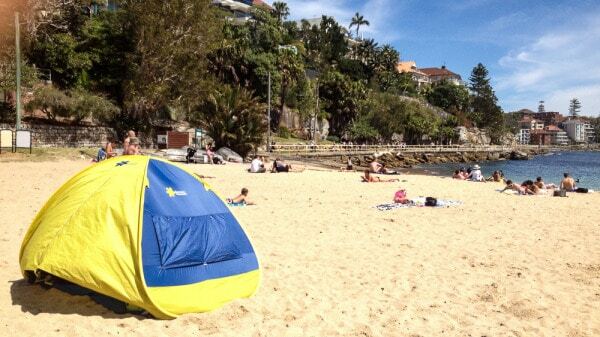 Shelly Beach Manly is an excellent beach for families, being quite sheltered, small and at a safe distance from the road. There is even some shade on the beach itself and the rocky patches at each end of the beach are excellent for mini-explorers. The reserve has shady trees and is good for a picnic. There are BBQs there, plus picnic tables though these do get very busy. Paths and steps lead through the bush to a lookout, but this is not a route for strollers. There are marvellous views along the great crescent of the Queenscliff, North Steyne and Manly beaches. The snorkelling is excellent around Shelly Beach, especially along the western side and towards lovely Fairy Bower Pool. The hungry and thirsty have a couple of nice options as well. Shelly is a great beach to play and even splash at in the wintertime. 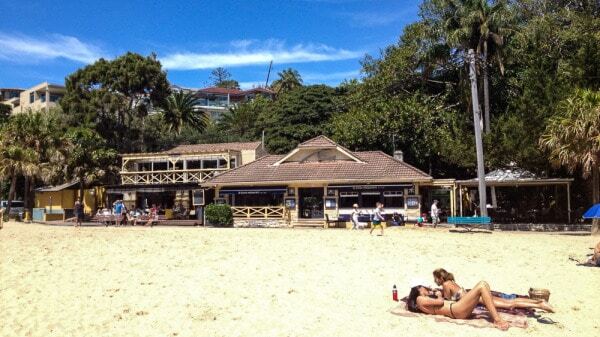 Cafes: The fabulous (but often very busy) Boathouse Shelly Beach is right on the beach. Mum’s report: Absolutely gorgeous—we love it. The kids are always in sight and can’t wander too far. They can cycle their trikes down to the rockpool too. Shelly is much more child-friendly than its big brother surf beach at Manly. Extra: It’s lovely to stroll from here to Manly or even right along the whole walkway all the way to Queenscliff Beach. The carpark is at the very end of Bower Street, we drive up Darley Road, left into Addison, right into Montpelier and that leads to Bower Street. It’s wiggly. In the read of this shot you can see the walkway to Manly itself. My family slip, slap and slopping before we have a swim. So now, when were you last at Shelly Beach? 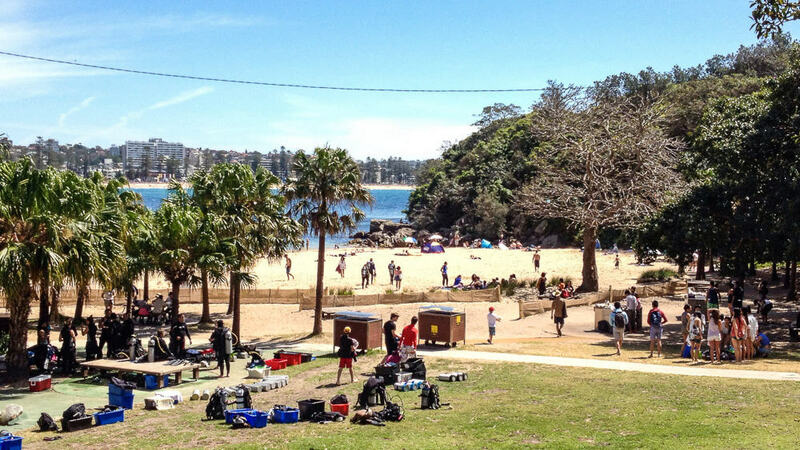 Do you agree that it’s one of the best for families on the Northern Beaches? 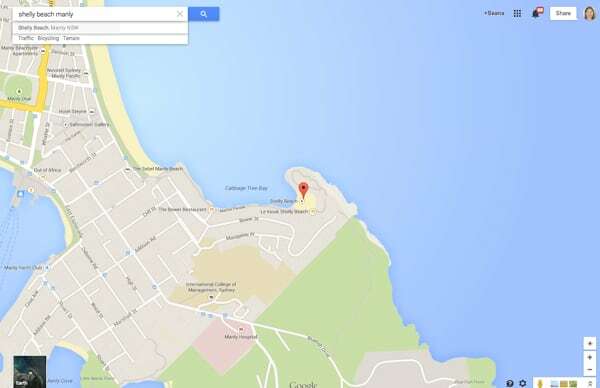 I just love this story on shelley Beach and I love your blog. Thanks for some interesting reads. Hi Seana, the last time I went to Shelley Beach was during December when I was at home for Christmas. It was great to go to the beach. My kids had a swim, the weather was perfect. Thanks for this post, I appreciated the reminder of a lovely day. Glad to let you see the old fave again… it is a fab spot with kids. I love snorkelling there with the kids now mine are older. Good to meet you and will pop over to see you on your blog. Oh, I have not been for years and you have me all excited. We are relocating next year and will be able to do weekends away in Sydney again. We SO miss Manly and the Harbour. First stop, Shelley Beach! Oh where are you moving too… do you have a blog?? Will try to find you over the weekend. It IS a glorious spot. Hello there, I’ve been trying to comment over on your blog but nothing happens when I click ‘2 comments”… you have been through a lot!! Shelley Beach looks great. I can’t say I ever went there when I lived in Sydney….GI for this Eastern Suburbs girl in her twenties!! I must remember to take the walkway when we next catch the ferry to Manly so I can see it. Great photos! I started off in the Eastern Suburns but moved north when I got a job at Channel 9 and have lived on the North Shore when in Sydney ever since… so we know the best family-friendly north shore beaches much better than the east. It is a lovely spot. I have a secret desire to live in Manly when I am an old lady – which is any minute now!! Now your beach really is lovely… just a wee bit nippy… the next time the kids and I visit, we must be bold and have a dip though… and when you next come here we will definitely be visiting Shelly Beach. We visited Shelly Beach when we were in Sydney last September. It’s a gorgeous spot, unfortunately though the day we were there was blowing a gale so we couldn’t sit on the beach. But we did have lunch at the beach kiosk which was lovely. Definitely a great spot. Shelley Beach is great, we love heading to the Northern Beaches!! Great post. I fell in love with Shelley Beach a few years ago. 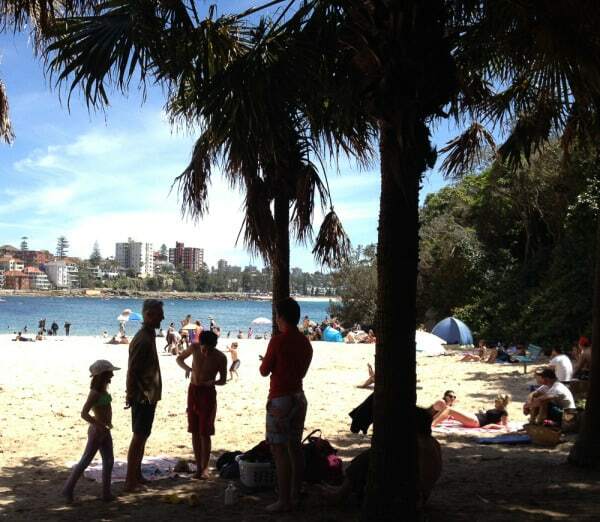 I was visiting Sydney with my family and some local friends took us there … simply gorgeous!